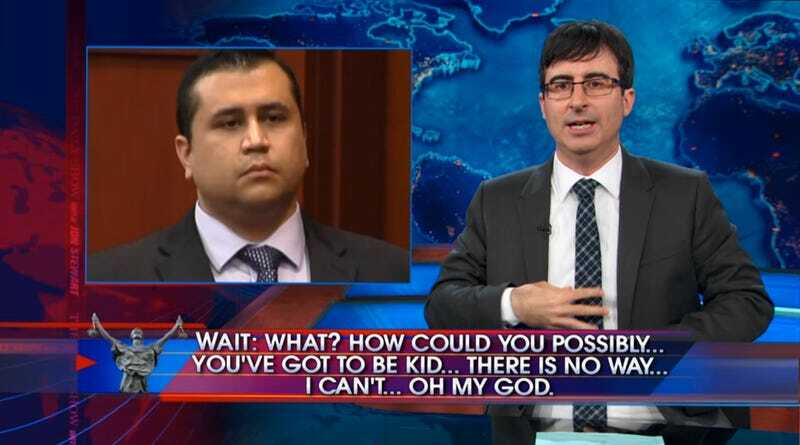 The Daily Show tends to do a pretty good job of finding glee and humor in even the grimmest of subjects, but that wasn't the case last night when they finally got around to covering the George Zimmerman acquittal. Don't get me wrong — the jokes were there (and the jokes were good), but for the most part, the segment was one of barely contained rage...and it was perfectly appropriate. This week, The Daily Show's anger is all of our anger.